Home Entertainment Check Out Blackpink’s Latest Song and Their Next Comeback Prediction Here! Check Out Blackpink’s Latest Song and Their Next Comeback Prediction Here! BLACKPINK (Hangul: 블랙 핑크), formatted to BLACKPINK or BLΛƆKPIИK, is a South Korean girl group formed in 2016 by YG Entertainment. This group consists of four members: Jisoo, Jennie, Rosé, and Lisa. The four made their official debut on August 8th, 2016, with their album Square One. Preparations for the group’s debut promotions began in 2012, however, YG Entertainment revealed the final formation and the group name on June 29th, 2016. BLACKPINK debuted in 2016 as the first girl group from YG Entertainment in the past seven years. They debuted with the album Square One, released on August 8th, 2016. “Boombayah” was produced by Teddy Park and written together with Bekuh BOOM. And the music video was directed by Seo Hyun-seung. The second main song, “Whistle,” was also produced by Teddy Park, and Future Bounce, and was written by Teddy Park and Bekuh BOOM. Their debut single was ranked first on the Billboard World Digital Songs charts, which makes them the third artist to achieve this, after PSY and BIGBANG. “Whistle” topped the digital, download, streaming and mobile charts on the Gaon Chart in August 2016. They also ranked number one on the video music chart for the weekly category, popularity, and music video, on China’s biggest music streaming site, QQ Music. Their first appearance on the music program aired on August 14th, 2016, on SBS Inkigayo. 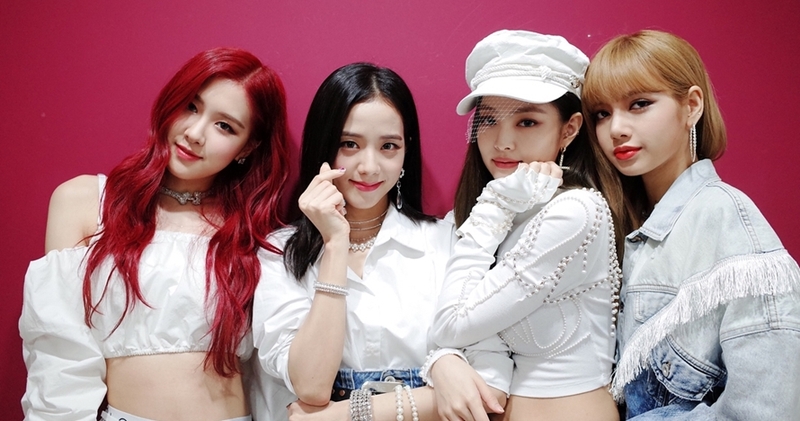 Their victory on Inkigayo (which aired on August 21st, 2016), broke the record for the fastest girl group to win a music program after debut (13 days). 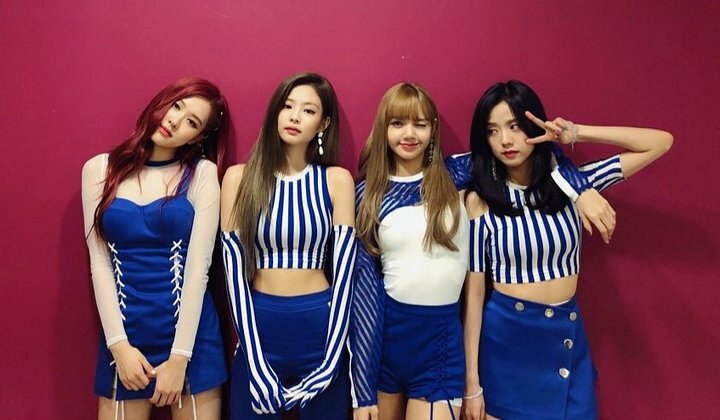 BLACKPINK ended the promotion for Square One on September 11th, 2016, with a victory on Inkigayo. BLACKPINK released their second album Square Two, with the title songs “Playing with Fire” and “Stay,” on November 1st, 2016. They performed the comeback stage on SBS Inkigayo on November 6th, and on Mnet M! ‘Countdown on November 10th, 2016. “Playing with Fire” is their second song that has ranked first on the Billboards World Digital Songs Charts. 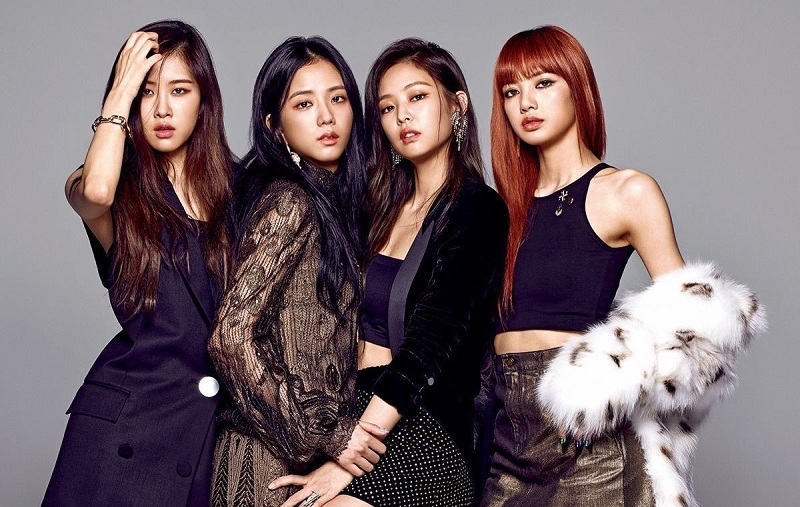 The famous girl group under YG Entertainment, BLACKPINK, just made their comeback in June 2018. They have released their first mini album Square Up, which successfully topped the Korean and international music charts. Square Up (stylized as SQUARE UP) is the Korean debut EP (second overall) by the girl group BLACKPINK. It was released on June 15th, 2018, by YG Entertainment. It is available in two versions and contains four tracks, with “Ddu-Du Ddu-Du” released as the lead single and “Forever Young” released as the second single. Upon its release, Square Up debuted at the top spot of the Gaon Albums Chart and went on to sell almost 179,000 copies in its first fifteen days of release in South Korea. 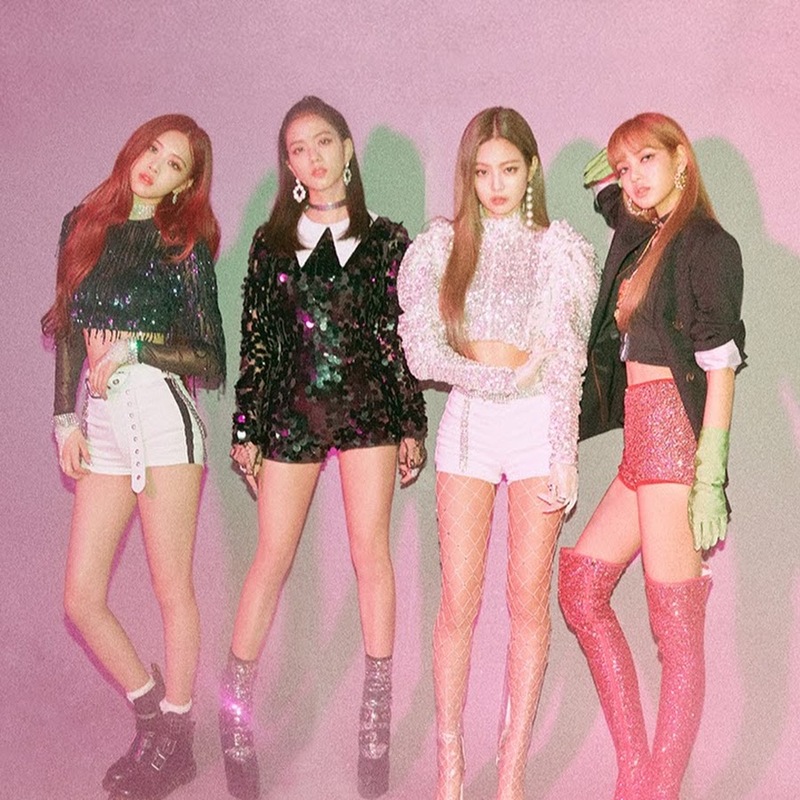 The EP also debuted at number 40 on the US Billboard 200, becoming Black Pink’s highest selling album in a Western market as well as the highest-charting to date by an all-female K-pop group. 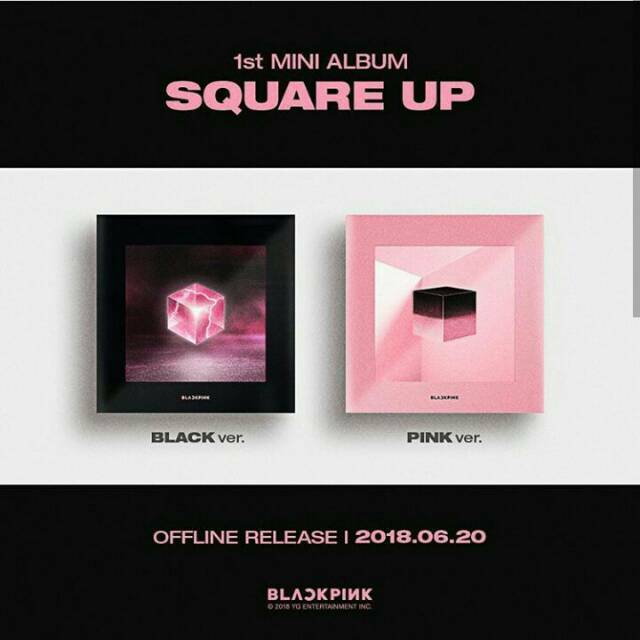 After the long-awaited comeback by the Blinks, Blackpink finally returned with the album Square Up, which was released on June 15th. Blink must be satisfied with the album that only contains four tracks with a total song length of 14:03 minutes. 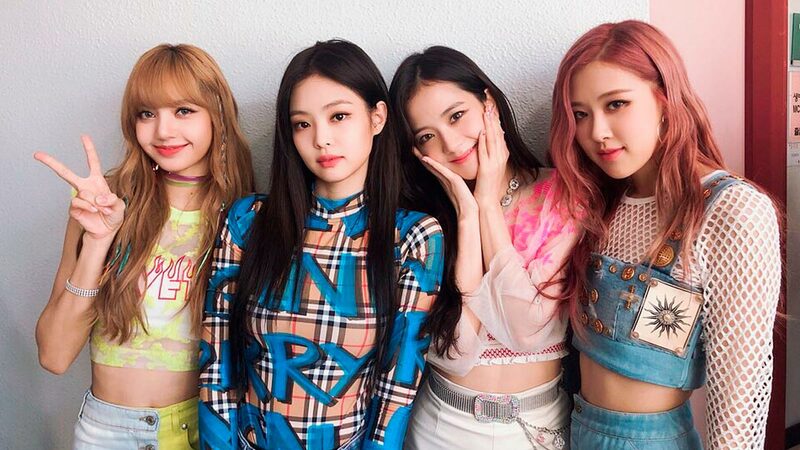 However, this did not disappoint, given the enthusiasm of all K-Pop fans, not only for Blink, in enjoying the girl band’s new album from YG Entertainment. It successfully hit the All Kill Chart in Korea with the lead single “DDU-DU DDU-DU” and the stunning video clips. What is the content of all four songs written by songwriter Teddy? Let’s take a look together!! 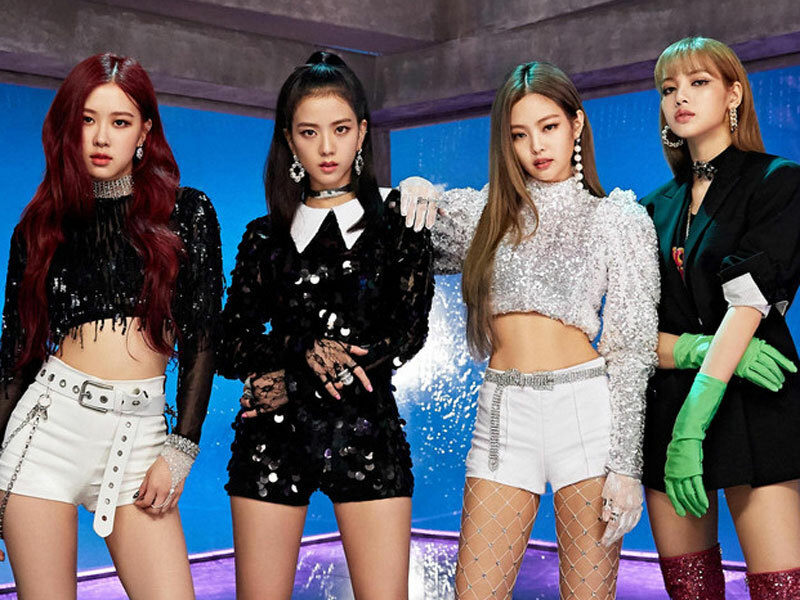 With the call “Blackpink!” by all four members, the single “DDU DU DDU DU” is opening and shows the impression of fierce and girls with power, success makes everyone like it instantly and suddenly makes them feel cool. 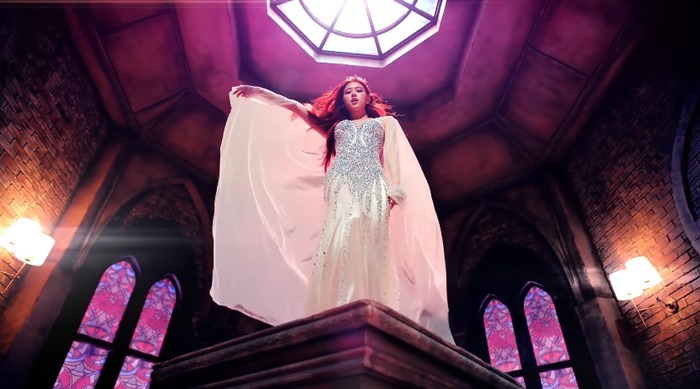 Apart from the music video which is packed with very classy properties and also a fancy outfit, “DDU DU DDU DU” has a darker musical color than the previous single hits of Blackpink, like Boombayah. The extraordinary vocal and rap abilities of all BLACKPINK members can make netizens fall in love with this song. Rose’s voice that opens the song “Forever Young” definitely makes listeners think about the song “Stay” from the previous Blackpink album. Rose’s voice color, that is similar to 2NE1’s Minzy, brings us into the color of their senior’s music. With simple lyrics, “Forever Young” makes listeners easily memorize the lyrics. The third track from the album Square Up is arguably the thickest song of hip-hop. Rose and Jisoo are used to filling out the vocals, here both of them also rap like Jennie and Lisa. 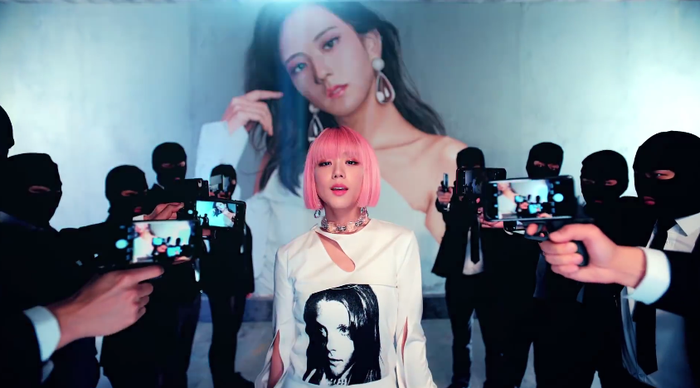 With a length of 3:19 minutes, “See U Later” gives the impression of a bad girl who is fussy with EDM music that is usually heard at the club. Whereas at the end, which is sung by Jennie, the song reaches a climax that is quite cool to be heard. If we look in more detail, it turns out there is a hidden message in “DDU-DU DDU-DU’s” music video, which means a lot about freedom and the dark side of each member. Are you curious about this MV? The pink bursts of smoke formed into a wing illustrate freedom. This is related to the parrots that Lisa will also hold later. 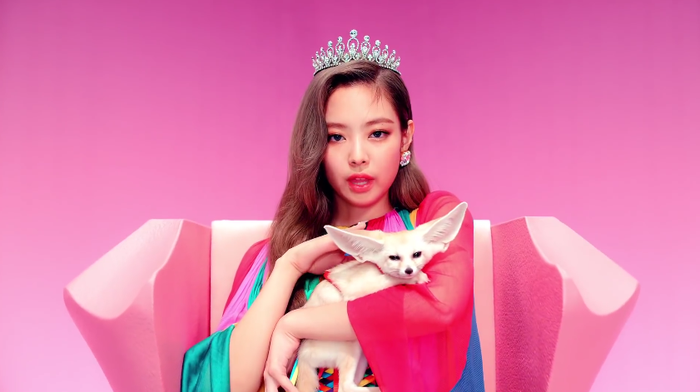 There is a scene where Jennie hugs a Fennec fox or Fennec. The Fennec Fox has an independent and solitary individual character. It feels like Jennie’s personality is also independent, charismatic, and suitable to be a leader. 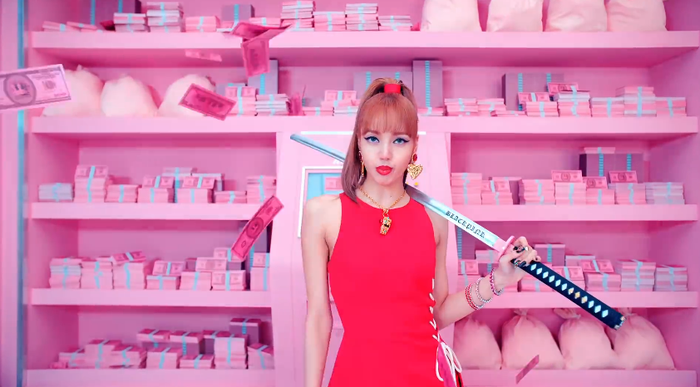 Lisa holds a katana that reads BLACKPINK, a samurai weapon that was once known as the most powerful weapon of Ancient Japanese warriors. The Katana symbolizes strength and courage to fight any enemy in one on one combat. If we look carefully, the blackboard behind Lisa is all related to previous BLACKPINK songs. There, it is also written about the song “As If It’s Your Last.” Lisa can also be seen holding a BLACKPINK lightstick that was just released some time ago. When there are two Rose in the scene, who wear beautiful dresses and black clothes have their own meaning. Rose, wearing a black shirt, was seen looking at Rose in a dress and crown of a rose, as if it was the most beautiful statue. Rose, who looks perfect, represents herself in public. Whereas Rose, who wears a black shirt, is the real one, who is just a human being behind her glamorous life. 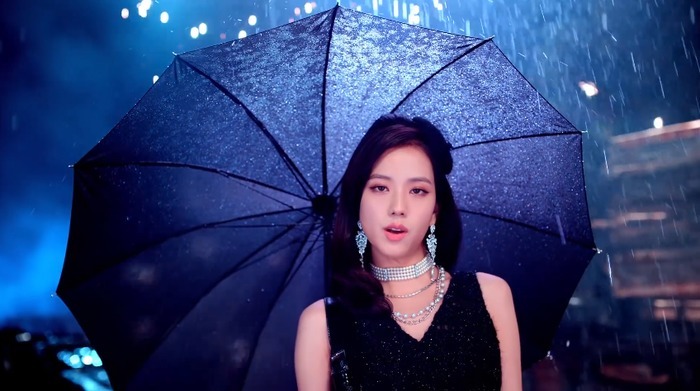 Jisoo is seen wearing an umbrella as a shield or protector from sparks that try to burn it. She still looks elegant, this describes Jisoo’s strong personality and her endurance in whatever trials she experiences in her life. 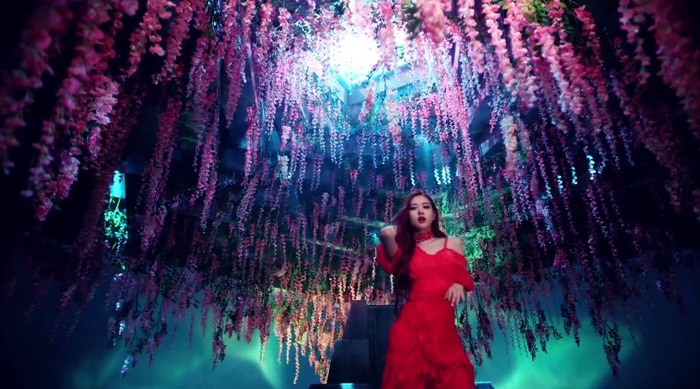 There are two Jennies in this scene too, the other being her self-image as a diva with lots of shopping bags, while the other Jennie sits on a fancy tank while eating popcorn. 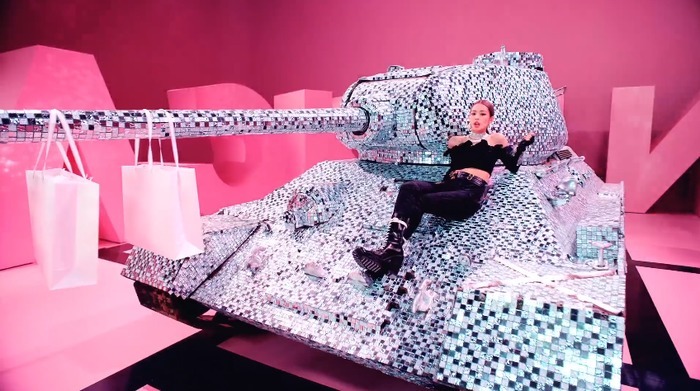 The tank then destroys all the shopping bags that Jennie brought, it indicates there are times when she wants to let go of the image of the diva that has been imposed on her. Jisoo’s mural that many people adore is Jisoo’s perfect image adored by fans. Whereas Jisoo wearing a short-haired wig is her real self. When Jisoo falls, the cellphone that has been used to take photos of Jisoo becomes a weapon. This illustrates the power of social media that is capable of being someone’s weapon. It can greatly adore an idol and turn around to hate them when the idol does not match one’s expectations or the idol makes a mistake. Rose swings in a chandelier like a bird in a cage trying to escape, until the lights go out. This illustrates that in difficult situations one cannot be silent, but must find a way out. This wisteria describes a new life, the pink color of wisteria symbolizes growing love. Like that, BLACKPINK wants to be like a wisteria flower for its surroundings. Jennie Hints That BLACKPINK Will Make a Comeback in 2019? Jennie signaled BLACKPINK’s promotion for 2019! Recently, Jennie sat down for an interview with Billboard for her solo debut, with the song “Solo.” The interview was conducted entirely in English, highlighting the idol’s beautiful accent. Jennie shared how it felt making solo promotions and BLACKPINK, explaining the meaning of the song, saying that filming in London was very impressive for her, and much more. 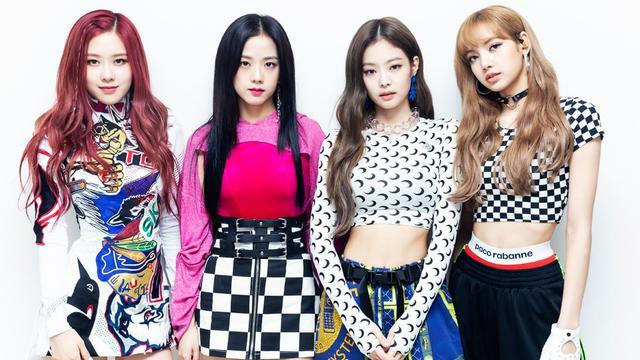 If it is true that BLACKPINK will make a comeback as soon as next year? Are you ready for their comeback? Here’s BLACKPINK’s Latest Song and And MV. Let’s Check It Out!!! Are You Curious About BTS’ New Luxury Dorm?